Product #6636 | SKU MXM-025RS | 0.0 (no ratings yet) Thanks for your rating! Hosa MXM-0025RS Camcorder Microphone Cable (25ft). 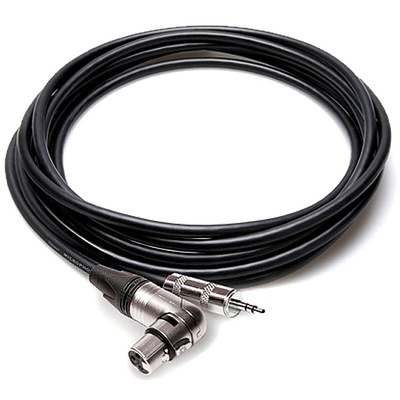 This Neutrik camcorder mic cable has a 3-pin right-angle XLR female connection on one end and a 3.5mm mini jack connection on the other end. The right angle XLR connection allows for the use of this cable in hard to reach places.